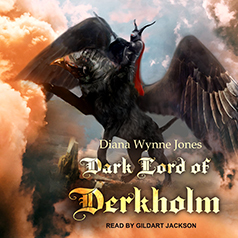 Master storyteller Diana Wynne Jones serves up twists and turns, introduces Querida, Derk, Blade, and Shona and a remarkable cast of wizards, soldiers, kings, dragons, and griffins, and mixes in a lively dash of humor. With all the ingredients of high fantasy, this unforgettable novel will delight fans old and new. Mr. Chesney operates Pilgrim Parties, a tour group that takes paying participants into an outer realm where the inhabitants play frightening and foreboding roles. The time has come to end the staged madness . . . but can it really be stopped?